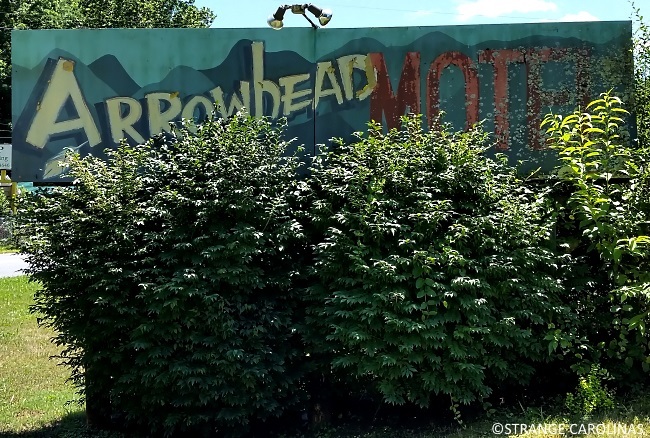 I'm pretty sure the Arrowhead Motel isn't open anymore. When we dropped by last summer, there were no cars anywhere. 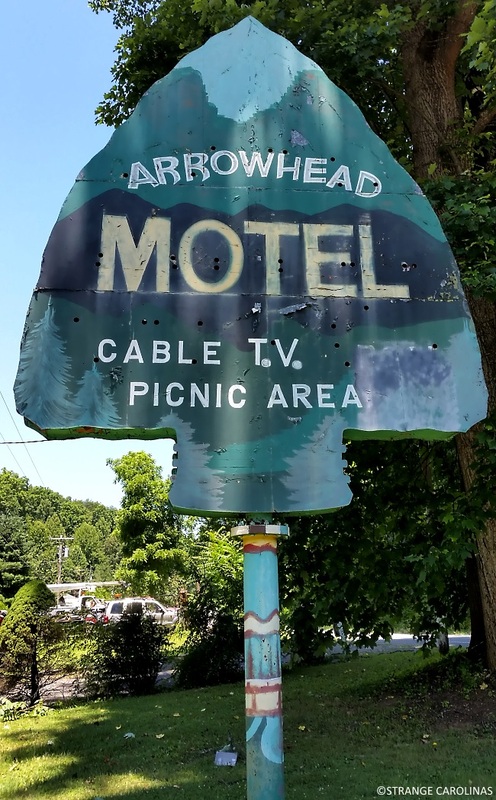 The hotel doesn't have a website. 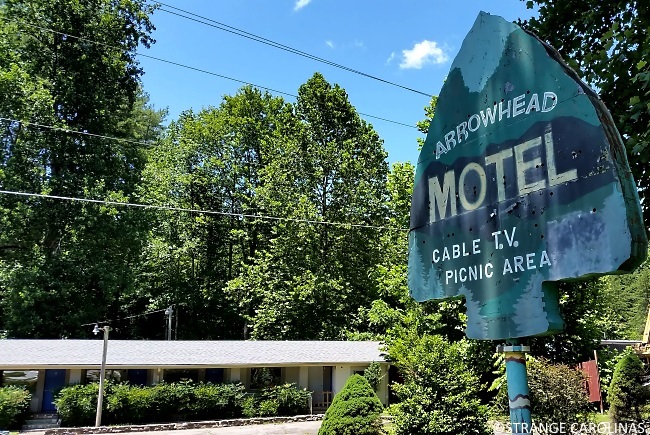 If you call the motel's phone number, it's been disconnected. 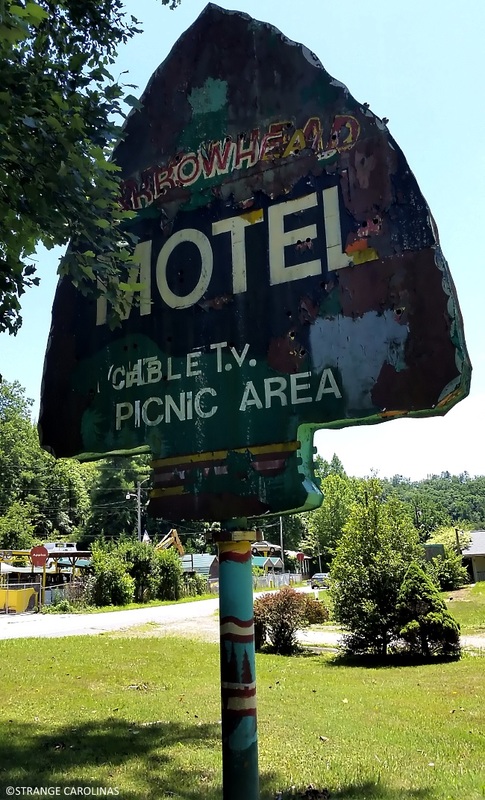 The only remains are the motel itself and the cool signage. 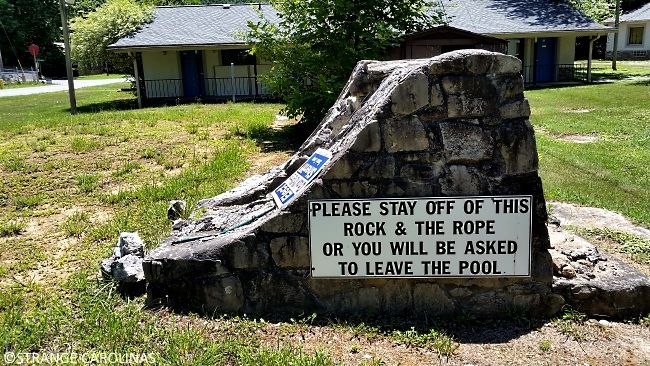 You may notice that the word POOL has been removed from the sign. Want to know why? The pool's gone, too! 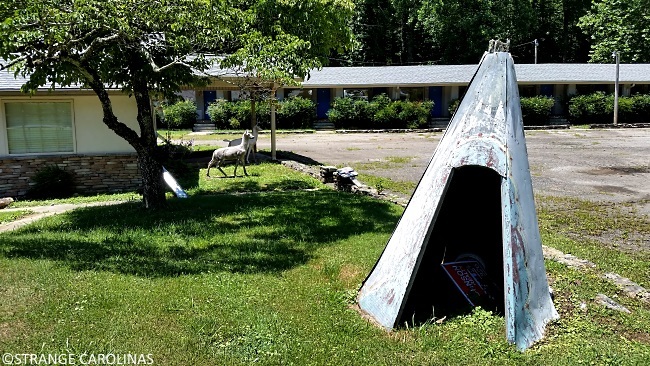 I've heard of above-ground pools, in-ground pools, but this might be the only all-ground pool I've ever seen.